Cannabissearch.com Buzz Rating: The high is somewhat of a creeper, but usually reaches full effect within 10 or 15 minutes and proves to be a long-lasting medicinal strain. The buds are light-green with sparsely strewn-about short, orange pistils. They reek of skunk and fruit and are large and dense. 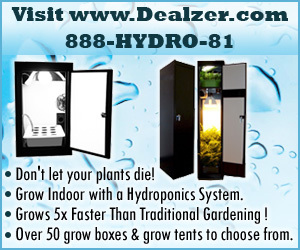 She�s a quick-flowering strain at just 7 - 8 weeks, where she�ll produce up to 2 � oz/plant indoors. It�s recommended to vegetate these ladies for at least a month if a decent yield is to be had as well. Atomic Shiva has excellent flavors of skunk, fruit, spice and hash with a predominantly skunky aftertaste. This strain is great for those seeking relief from chronic pain, insomnia or issues associated with chemotherapy. Look for Atomic Shiva to go for around $55 an eighth at most places. Atomic Shiva 3.35 out of 5 based on 4 ratings. 4 user reviews. I would have known this was an indica anywhere. The smell alone spoke volumes and then when you light up it delivers. A sublime sense of body relief that is needed in chronic pain relief. A friend brought this one around and I don't know if they grew it or bought it. But it had an atomic effect on me. I was totally gone for nearly 7 hours after smoking one joint, it left me so completely fuzzy all over even after that. I don't know if it was just me but wow it blew me away. where did u find this strain. It sound worth it to obtain, im at least a little curious.